DAMNYOU LAZZINES.. i forget who's fc this is... someone named snowwy i think? 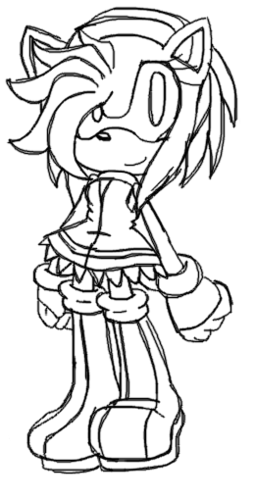 anyway i changed her she looked to much like amy rose. just abit anyways.... don't color this in i'll color it when i get back from counselling. :P. Wallpaper and background images in the Sonic Fan Characters club tagged: sonic fan character. 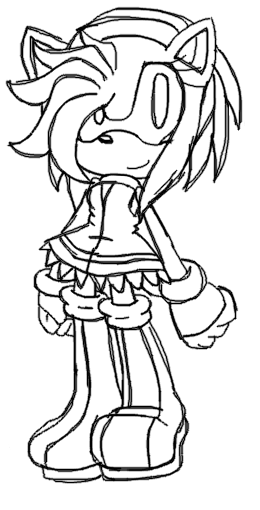 She still looks a bit like Amy, but NOT THAT MUCH. The outfit ish awesome! Cute nice work. thank you i love it and it was funny you forgot me XD most people do though im a pretty boreing person :D lolz loved it though!